The trucking industry is growing at a rapid rate. Online shopping is at an all-time high, increasing the number of fulfillment and supply chain hubs. The economy is, for the most part, doing well, which means the demand for products and supplies is strong. This includes goods for import, export, and those goods that need transport throughout the state or nation. The trucking industry is simultaneously experiencing one of the biggest booms and one of the largest driver shortages. The average driver is between the ages of 42 and 52-years-old, and the majority of turnover is due to retirement. With a large percentage of the workforce nearing retirement age, something must be done to attract a younger generation. However, potential drivers have a much different expectation for quality of life than drivers nearing retirement age. This means the trucking industry will have to implement some major changes, particularly to routes, to attract the attention of this new way of living. This will help fill the current gap, and keep up with the growing demand. Over 10 billion tons of freight will be transported this year, which accounts for 70% of domestic freight. These numbers continue to increase at a steady rate, jumping 6.5% in May alone. While some of the increase can be added to current routes, new routes and supply chains create a need for more trucks and more drivers. Tonnage increases most months, but dipped by 6.2% in Dec of 2016. This is likely due to the major spike of 8.2% in November of 2016, as fulfillment centers stocked up in response to the holiday shopping rush. One of the ways to attract and retain qualified drivers, is to provide competitive salaries. When you factor in all types of drivers, freight, construction, mining, local, long-distance, OTR, and more—the median salary is $40,000, and the average salary is $73,000. 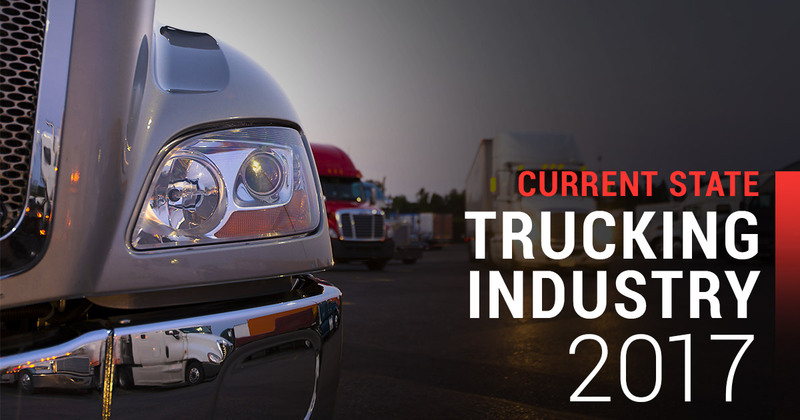 The industry is one of the largest in the nation, with over $3.5 million drivers. To help close the gap, and fill their open positions, many trucking companies, or companies who require truckers, are creating highly competitive base salaries. This is in addition to fuel and efficiency bonuses, or other bonus or benefits programs. Salaries are up 28% since 2000, and many companies are increasing their salaries by upwards of 8% each year. There has been a rapid increase in regional fulfillment centers, by product suppliers and trucking companies. The reasons for this increase are two-fold. First, the closer a product is initially, the faster it reaches the consumer or retailer. Amazon is an excellent example, as their regional fulfillment centers play a key role in speedy shipping for their Prime customers. Second, the more regional fulfillment centers, the more attractive the driver routes. The more attractive the driver routes, the better the quality of life, and the more younger drivers join the field. Trucking continues to be a lucrative field of employment, and one that continues to grow as the economy booms.